If you’re a fan of Family Guy, then you might call last night’s episode of The Flash a ‘simulation’ episode. Though don’t let that dissuade you from enjoy what is quite possibly the best episode of The Flash we’ve seen to date. With time travel finally introduced, Barry is about to learn that altering the time stream can have drastic consequences. Though before we get to that, let’s take a closer look at the episode that ‘kind of’ didn’t happen and all the revelations and Easter Eggs it gave us. With an episode title like “Out Of Time”, it was unclear if this episode would show Barry or someone close to him running out of time or if the title was referring to something anachronistic (aka something that doesn’t belong in this time). After watching the epsidoe, it appears the answer is surprisingly both – in a sense. The anachronistic aspect of this episode title of course refers to Doctor Wells (aka Eobard Thawne) and how he is out of his own time period. 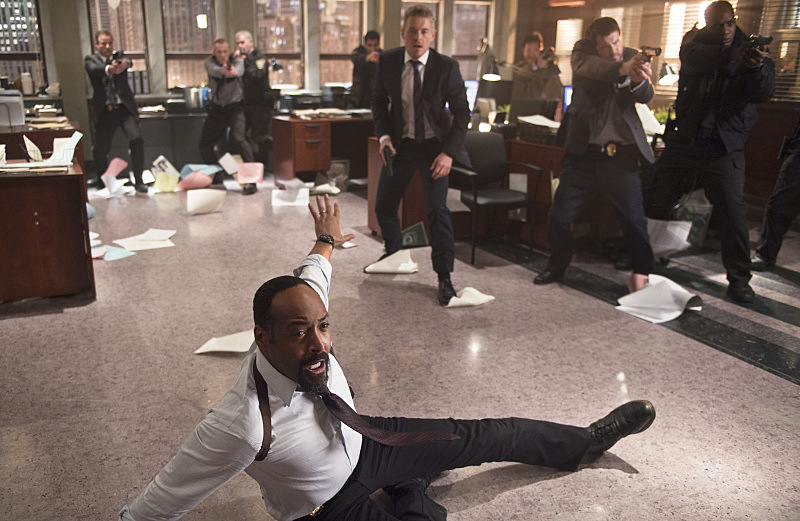 As for the idea of idea of someone ‘running out of time’, with Mark Mardon hunting Joe West and Barry trying to protect both him and Iris, this title could very well refer to someone ‘running out of time’ and dieing. Yes, we saw Cisco die as well Barry and Linda’s relationship end; but the foremost example of somebody ‘running out of time’ is when Barry literally RAN so fast he fell out of the time stream and back to the episode’s beginning. From killing to protect Barry to being revealed as the Reverse Flash, Doctor Well’s true plan and identity has been shrouded in secrecy since the beginning. Oliver Queen certainly doesn’t trust him and others have certainly taken up the mantle of stopping him; but who is this man really? Well, that is exactly what we – and Cisco – learned this episode. Dr Wells is actually Eobard Thawne and he’s trapped in the past. He never intended to kill Barry’s mom that night; but instead tried to kill Barry, which explains why younger Barry got rushed to safety. As for why he’s been helping Barry, it’s because Barry must get faster in order to activate the Speed Force, which Eobard can use to return to his time. Though with him revealed as ‘Eobard Thawne’, this makes our worst fears realized. He’s not the good Reverse Flash, Hunter Zolom but rather the crazed fan from the future turned sociopath. The Thawne version of Reverse Flash treats time as his playground as he constantly returns from the future to kill anyone who stands in his way. As for what relation he is to ‘Eddie Thawne’, he claims a ‘distant relative’, which I think it actually spot on rather than another half-truth. With Barry and Iris getting closer, it’s not hard to see a family-long tradition of hating Barry Allen. Though all of these revelations – and hinted revelation to Caitlin since she saw him disappear out of his wheelchair – will remain hidden to the cast as time is reset. Cisco is dead, Iris knows Barry is the Flash, Mason Bridge is about to publish a damning article on Harrison Wells, and a massive tidal wave is heading towards Central City – NOT ANYMORE! 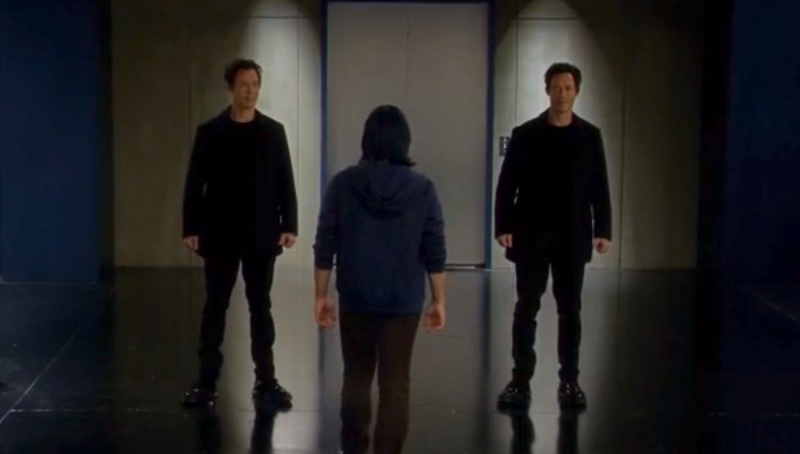 When Barry saw that ‘afterimage’ of himself at the start of the episode, it looked as though it could just be an afterimage – especially considering Wells would use the same trick later on against Cisco. Though as we learned in the final moments, this was in fact a second Barry traveling back in time from episode’s end to beginning. Very confusing I know, so I’ll walk you through how all this ‘Wibbly Wobbly Timey Wimey stuff’ works. The ‘type’ of time travel being used here in the Flash isn’t your standard ‘Back to the Future’ style time travel. There’s no chance of there being two of you in the same time period and causing a paradox. Rather, when you travel back in time you reappear in your body as long as it is of the time. In other words, Barry literally appeared in the tracks of himself at the start of the episode; but when he eventually travels back in time to his childhood he’ll stay in his adult form since he was a child at that time. Yay, Cisco will still be alive! Time travel is very confusing so it’s okay if you don’t completely understand it just yet; and I’m sure we’ll get more explanations from the show. The most important thing to take away from this is that everything we saw in this episode DID NOT happen. Well, it did; but when The Flash returns next week it’ll be as if none of it happened and only Barry will remember what he witnessed. So in short: Cisco will still be alive, Well’s secret will still be known to him alone, Barry will know every move Mardon makes before he makes it and will know that Iris loves him (despite her not yet admitting it to him). This knowledge of future events will certainly clear up some problems; but will also lead to some new ones. The past few episodes have been showing us why Linda is such a better choice for Barry than Iris. She’s confident, fun and knows what she wants. So it was a little strange to see this episode bring out a jealous side in Linda as Barry and Iris began to rekindle. 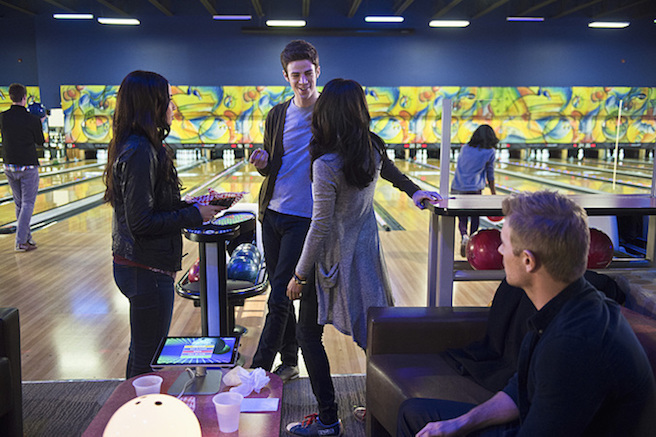 Though Linda’s not the only one jealous of the new dynamic as Eddie finds their dynamic has changed as well all during a game of bowling. Forced? Sure. After all, Iris West is supposed to be the romantic foil of Barry Allen and Linda is supposed to be the romantic counterpart of Wally West, Barry’s future nephew. 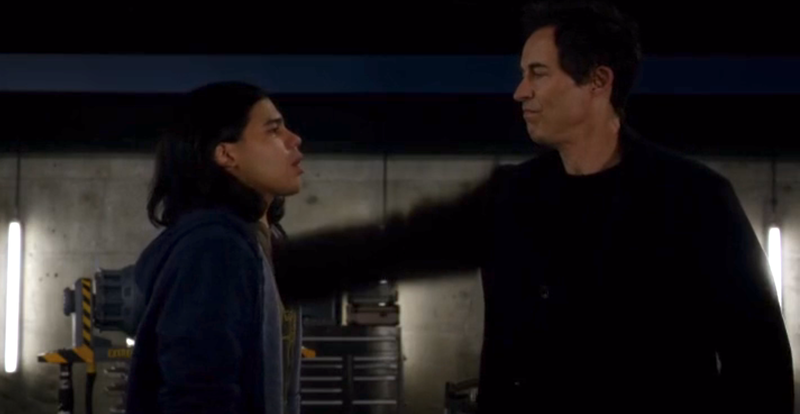 Though despite this seeming a little out of left field in the story of the TV Series, it does begin to show why the Thawne family has a hatred for Barry. As for how this will resolve with Linda Park remains to be seen. With talk of Wally West actually appearing in Season 2, who knows what will happen. 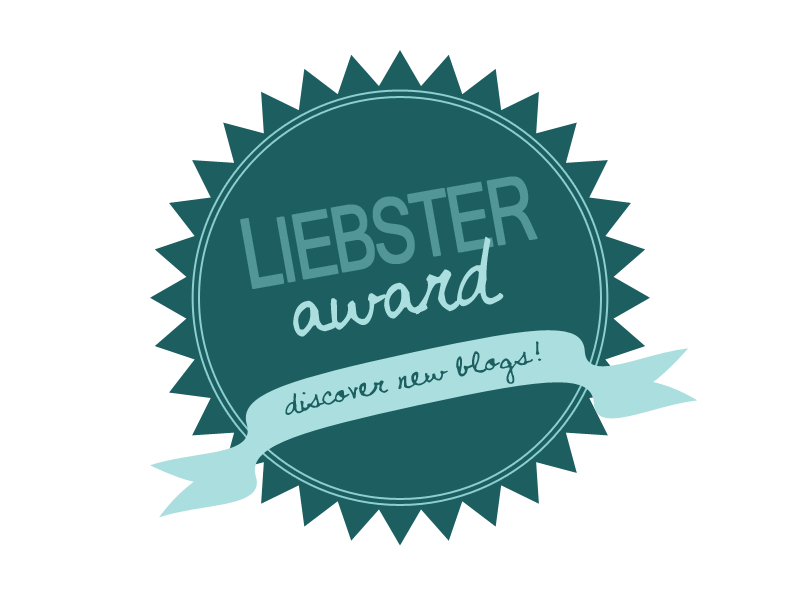 With time travel involved, I suppose anything can happen. In case you thought Clyde Mardon was the Weather Wizard, this episode saw his brother Mark live up to the name a lot more with his more refined and focused powers. Over the years there’s been many Weather Wizards in the comics, so this brotherly title pays tribute to that. As for ‘the Wizard’s Wand’, this item was usually wielded by the Weather Wizard himself and explained how he could control the weather – rather than stop him from controlling the weather. That being said, one or two Weather Wizards were able to control the weather without this wand, and Mark represents one of those Wizards. It should be self-explanatory why the Mardon brothers have the same type of powers; but in case you were still curious, here’s the explanation. Since they were flying through the clouds, the dark matter merged them with control over atmospheric impulses. It’s been a while since we’ve heard of Simon Stagg; but he was the person the Flash saved early this season from Multiplex/Captain Clone; but was later killed by West when he revealed that he wanted to ‘use’ the Flash. Some might have been shocked to learn that Captain David was gay; but this was actually mentioned a few episodes ago. Additionally, he was in the comics as well. What you might not have known that in the comics his boyfriend was the reformed Pied Piper (Hartley Rathaway). Perhaps we’ll see this play out in the future? When Well’s told Cisco that he had sadly been dead to him for years, this isn’t just a reference to how Wells is from the distant future. It’s also an allusion for fans of the comics where Vibe has actually been dead for some time. To Wells and comic fans watching, Cisco has been dead for a while. All in all, this was a great episodes. Were there moments that seemed forced or didn’t make sense – ie: how Mardon walked unnoticed in and out of a Police Station – but we got so many shocking revelations and answers, that it more than made up for it. Every time The Flash goes on hiatus and returns, it returns better than ever. Though to be honest, I’m happy its straight sailing from here to the finale. So stay tuned, Follow Me On Facebook and I hope you enjoyed this ‘Closer Look’.